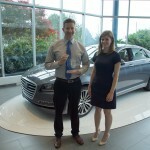 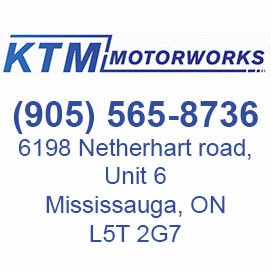 TORONTO, June 8th, 2015 – Our very first Car Of The Year award was delivered to Hyundai Auto Canada Corp, as the result of very intense, thorough and careful consideration of all the 2015 Model Year automobiles we tested in the past year. 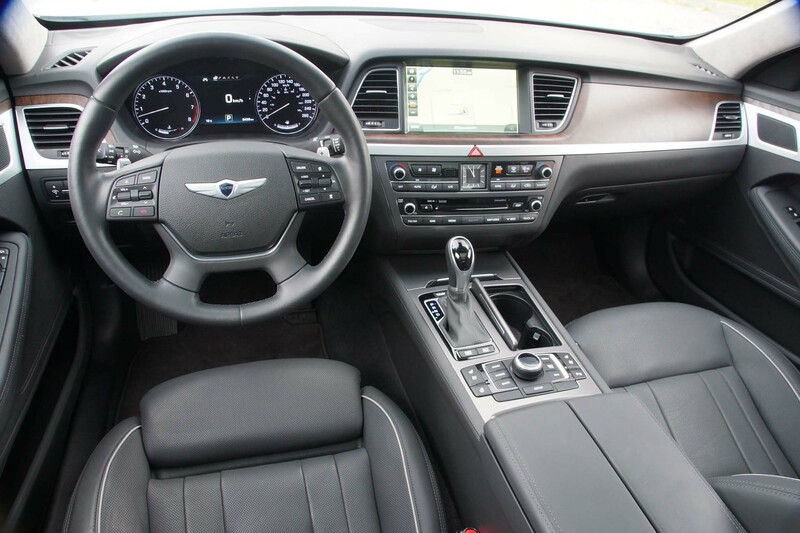 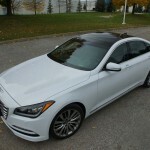 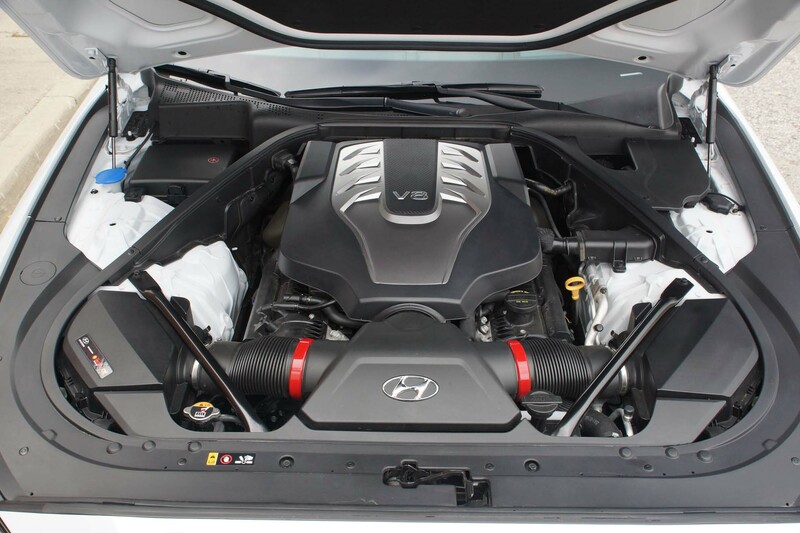 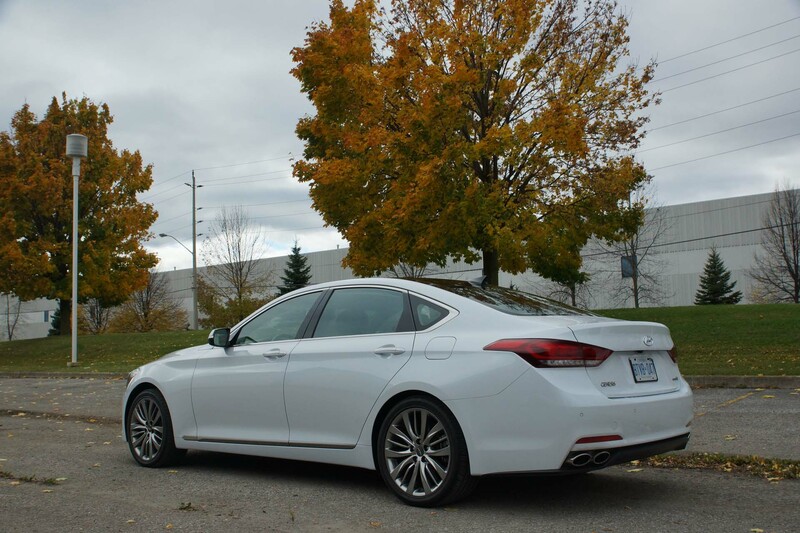 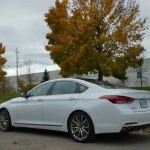 Out of all possible nominees, the 2015 Hyundai Genesis 5.0 Ultimate sedan was the one that took home the award, as it was undeniably the biggest surprise and most satisfying test drive we conducted. 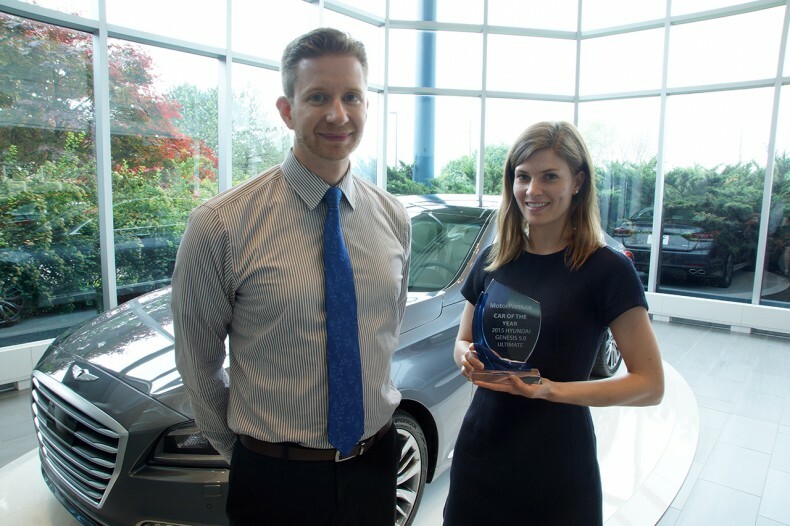 On behalf of the manufacturer, Chad Heard, PR Manager and Laurence Myre Leroux, PR Specialist, were very pleased being on the receiving end of the award and communicated their strong belief in the value of the product. 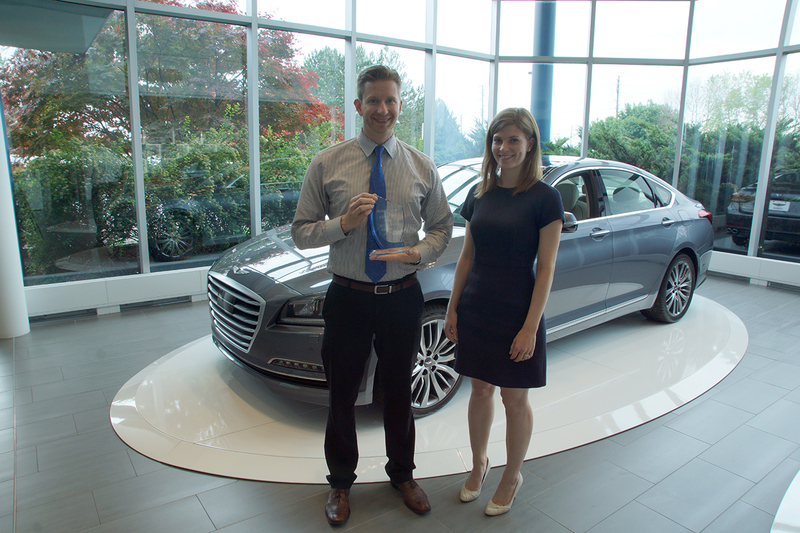 “The 2015 Genesis sedan encapsulates all the technological and manufacturing ability the firm is capable of, showcasing that there are no real boundaries in what they can achieve, subject to having the market for it” said our Editor-In-Chief, Jason Ladopoulos, while handing over the award. 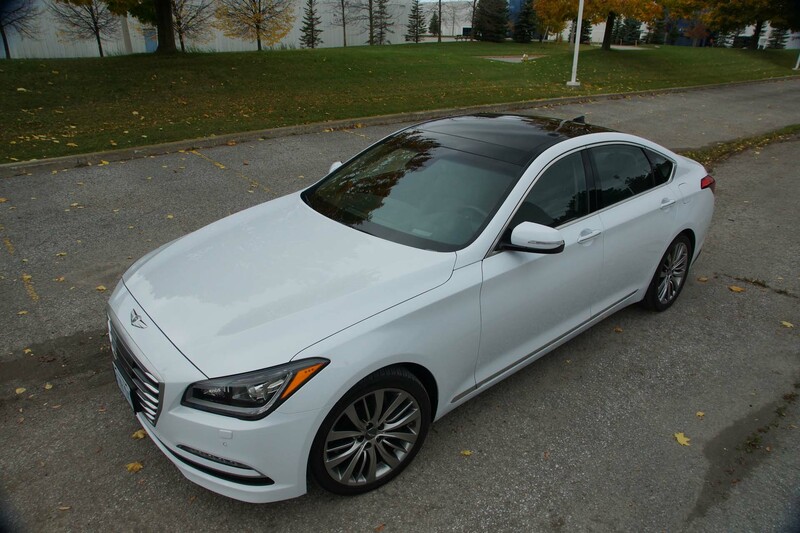 Equipped with a very powerful and smooth engine, great handling with intelligent all-wheel-drive and a genuinely premium cabin, the 2015 Genesis 5.0 Ultimate is bang of the buck, the best luxury sedan in Canada. 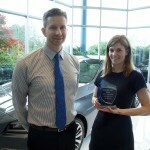 And for that reason, it is our WINNER.